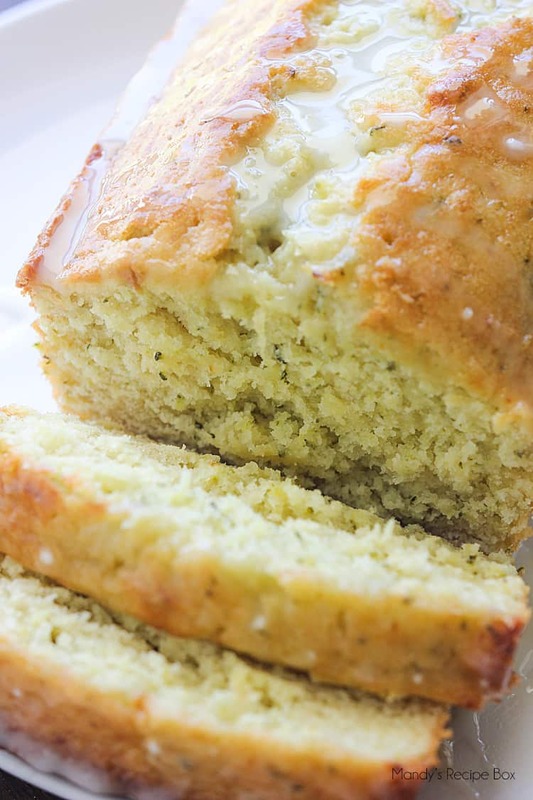 This Lemon Zucchini Bread is a delicious combo of the classic zucchini bread and lemon bread. 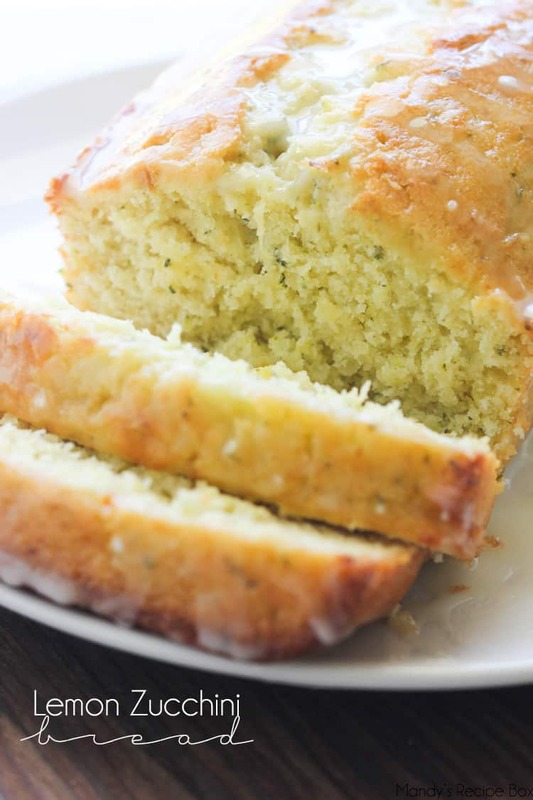 Together with the lemon glaze, this quick bread will have everyone wanting the recipe. Hey guys, it’s Mandy from Mandy’s Recipe Box. I have a refreshing treat for you today. 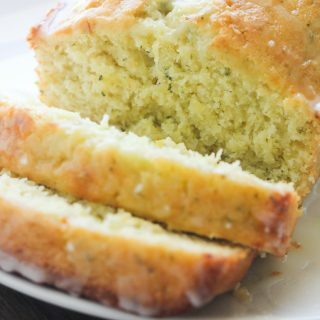 Lemon Zucchini Bread… my mom couldn’t wait for me to be done taking pictures so she could taste it. The glaze can be as thick or thin as you want. Just use more or less lemon juice. Be sure to use fresh lemon juice in this recipe for the best flavor. I hope you all have a safe and fun 4th of July! Make some of this bread to share with the masses! Preheat oven to 350 degrees. Grease an 8 by 4-inch loaf pan and set aside. In the bowl of an electric stand mixer mix sugar with lemon zest for 30 seconds. Add in oil and eggs and mix until combined. Add the flour, baking powder and salt and blend just until combined. Add in sour cream and 1 1/2 Tbsp of the lemon juice and mix just until combined. Add zucchini and mix again. Pour mixture into prepared loaf pan. Bake in preheated oven until toothpick inserted into center comes out clean, about 45 - 48 minutes. Let cool in baking pan for a few minutes then invert into a wire rack to cool completely. 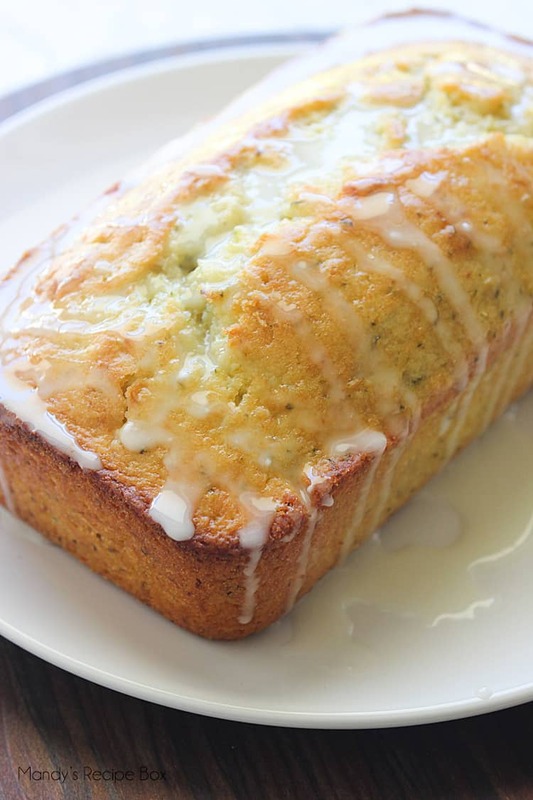 Once loaf is nearly cool drizzle with lemon glaze. Store bread in an airtight container. In a small mixing bowl whisk together powdered sugar and remaining 1 1/2 Tbsp lemon juice until smooth (if it seems thin add a little more powdered sugar if it seems thick add a little lemon juice). Drizzle mixture over loaf and let set. great RECIPES EASY INGREDIENTS (DID NOT HAVE TO RUN FOR Extra Ingredients). I made my Lemon glaze A LITTLE MORE TART. thanks YOU FOR SHARING. I made two loaves of this tonight and they didn’t turn out. The middles are gooey and they fell terribly. The taste is okay, but this isn’t a recipe I’ll be using again. Thank you for the feedback, Katharine. I’m so sorry these didn’t turn out! I hate when that happens.